The first iteration of its 'Flash Pro for HTML5' tool that allows designers to create web animations that play back on platforms that don't support Flash, such as the iPad and iPhone. 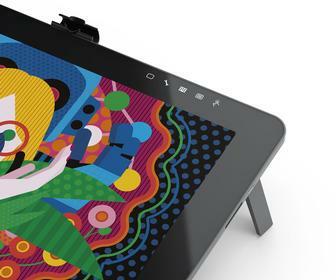 Adobe has released a free preview version of Edge, the first iteration of its 'Flash Pro for HTML5' tool that allows designers to create web animations that play back on platforms that don't support Flash, such as the iPad and iPhone. Edge can be downloaded from the Adobe Labs site. Adobe describes Edge as 'pre-beta', which is why it's being offered for free. 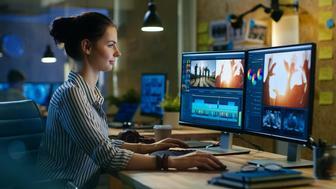 The final version is expected to be launched in 2012, and will be a paid-for tool -- though Adobe's not saying what the price will be or whether it'll become part of the Creative Suite. In the meantime, Adobe says it wants your feedback to help shape the development of the product. Edge has limited functionality compared to Flash Pro, but includes a full set of basic animation tools including a timeline and support for tranformations and motion. Users can import standard web graphics assets such as SVG, PNG, JPG and GIF files and style them using CSS3. The design stage utilizes WebKit -- the engine behind most modern browsers -- to enable design, preview and manipulation of content with complete accuracy. There are no interactive tools in this first release, and we're waiting to hear back from Adobe as to whether interactivity can be easily added using any of their other tools, such as Dreamweaver. The primary function of Edge, at least in the short term, is going to be to allow designers to create animated web ads such as leaderboards, MPUs and skyscrapers -- as well as other page elements -- so that they work on iOS devices, and without the poor performance offered by animated GIFs. The potential issues with such ads is that HTML5 isn't supported by older browers -- so HTML5 ads may be visible to less users overall than Flash ones -- and we have no information as to whether ads created by Edge are supported by the major ad networks.